Over the last several years there has been a rising trend in homeowners who chose to remodel an existing property versus buying new. People are choosing kitchen remodeling over buying new. With the increasing popularity of DIY shows and apps like Pinterest, these numbers have continued to increase. With changing times comes a change to the Economy and Lifestyles of homeowners as well. A kitchen is no longer just a place to prepare food, but it’s a place to gather for family meals, friendly get together’s or just a quiet breakfast. It’s also a chance to show off your personality and style. Not only can kitchen remodeling offer a way to create the perfect space for you and your family, it can add significant value to your most important investment – your home. Cape Fear Flooring & Restoration is a North Carolina licensed general contractor. We can help you transform your dreams and ideas into a beautiful, realized design to fit your space and budget. Our process is hassle-free, and our team of designers and installers are second to none in the Fayetteville, NC area. Want an upgrade to suit your changing style? Or do you need fast, reliable kitchen remodeling after water, mold, or fire damage has impacted your home? Look no further - Cape Fear Flooring & Restoration is the team to trust! Find out more about how we can help you and your home today. Kitchen remodeling costs can add up quickly, especially if you have little experience with home remodeling projects. This is why it’s important to include a kitchen design expert from the start. Our professional, highly experienced team can show you all the kitchen remodeling options you have available, as well as cover the ‘unexpected’ or ‘forgotten’ expenses. Our design experts will go over everything from countertops to kitchen flooring options, and make sure to include details like cabinet hardware and sink faucet finishes. We’ll make sure you feel informed in your decision and get you the exact kitchen design you’re after, without breaking your budget. 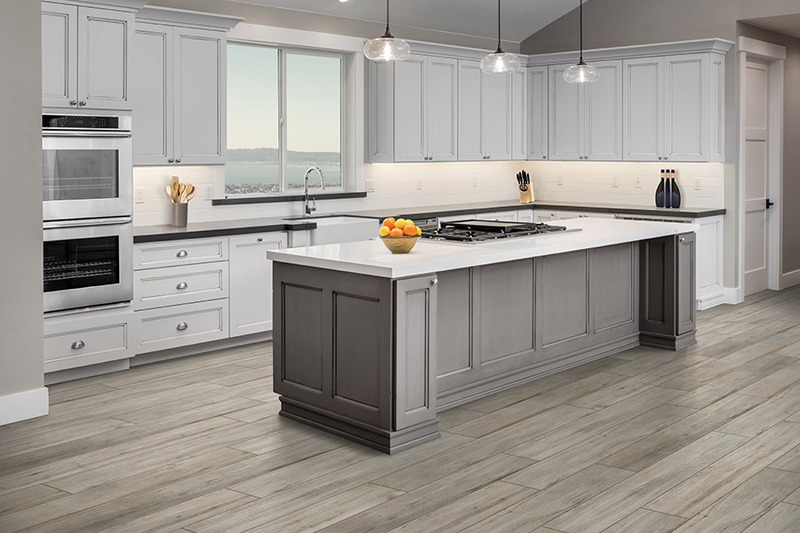 Cape Fear Flooring & Restoration will set your kitchen remodeling project up for success, and turn your kitchen dreams into a reality! Our design experts have years of experience helping homeowners find the perfect kitchen cabinets to match the design they have in mind. Not only are we qualified kitchen cabinet distributors, but our cabinet prices consistently beat quotes from other cabinet companies and we carry a wide variety of kitchen cabinet options. Take a look at what we have to offer – and see what sets us apart from the rest! Let us help you determine which style and design will best meet your needs and your budget! Flooring is our specialty- that’s why it’s in our name! 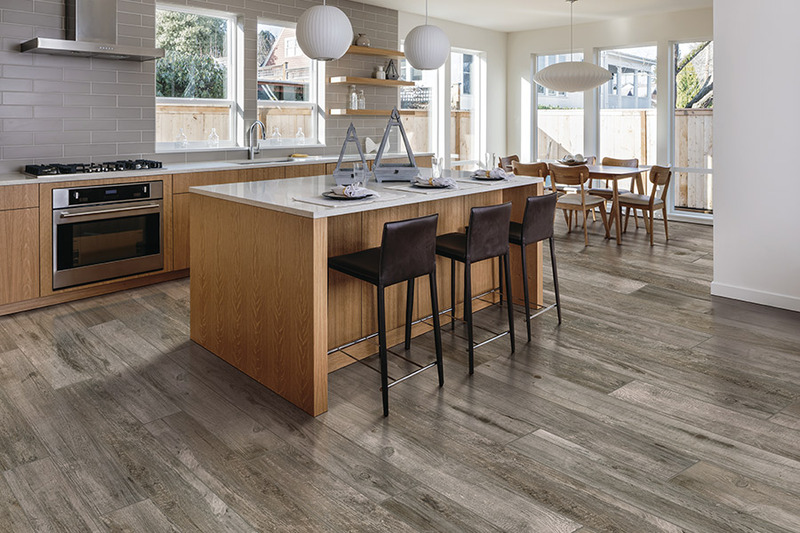 No matter what types of tile, hardwood flooring, laminate flooring or vinyl flooring options you are looking for– our experts can help! 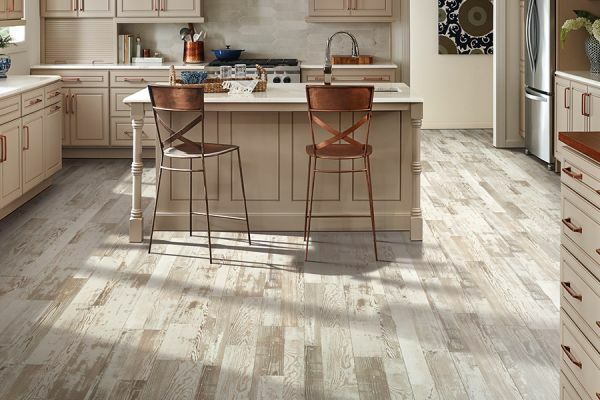 Our team will help you find the right kitchen flooring for your budget, lifestyle, and goals. We help you consider everything many homeowners don’t think of. This can include choosing flooring options that are kid and pet-friendly, easy to maintain, longevity and ease of cleanup. We want to make sure you get the flooring that’s right for your day-to-day needs and will go the distance. 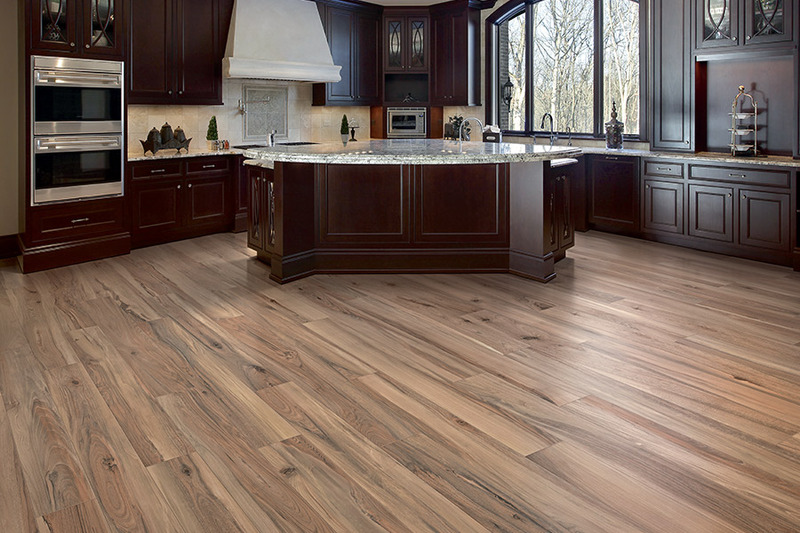 Cape Fear Flooring & Restoration will cover all your style and durability preferences. When it’s over, you end up with a result you’re pleased with for the long haul. 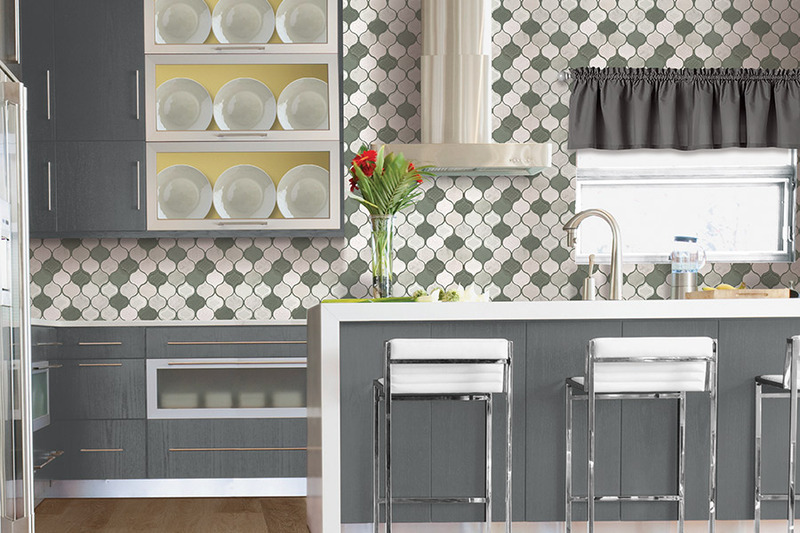 A tile backsplash can really add a touch of pizazz to your kitchen. It can immediately transform an ordinary kitchen space into a gourmet space, add a touch of personality or a burst of color. We offer a wide variety of kitchen tile backsplash options for you to choose from, and professional installation teams to make sure the work is done correctly. We take great care in creating a tile backsplash that is not only functional, but also beautiful. 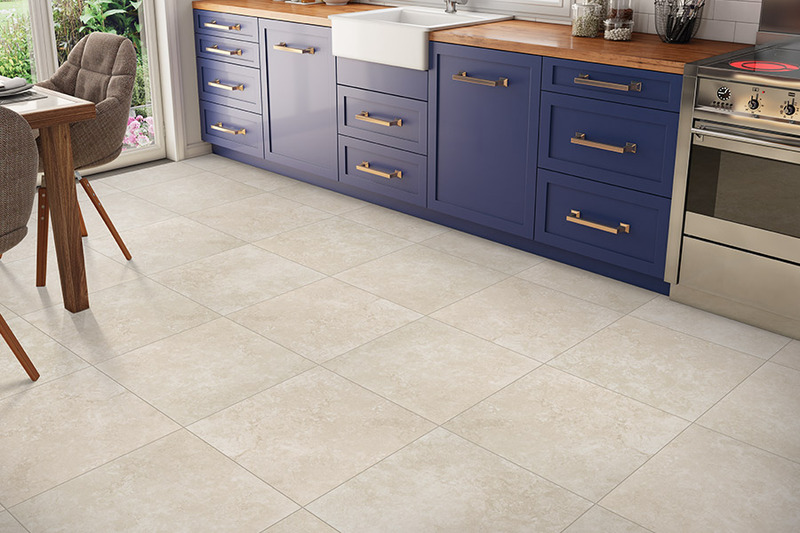 Our design team will help you select the tile size, color, texture, and arrangement that will complement the existing design of your space. We want to help turn your kitchen into a space you can’t wait to show off! Consult our professionals today!